Building on nearly two decades of experience as a Senior Researcher at Gallup Organization, he currently guides the vision of ADP Research Institute as Co-Head and Talent Expert. 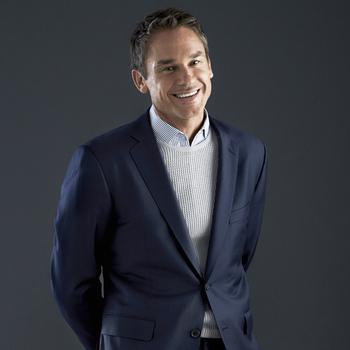 He founded The Marcus Buckingham Company in 2006 with a clear mission: to instigate a "strengths revolution." It started, as all revolutions do, with the simplest of ideas: that when people spend the majority of each day on the job using their greatest talents and engaged in their favorite tasks, basically doing exactly what they want to do, both they and their organizations will win. In other words, companies that focus on cultivating employees' strengths rather than simply improving on people's weaknesses stand to dramatically increase efficiency and productivity while allowing for maximum personal growth. In all of his speeches, Marcus demonstrates the correlation between strengths-driven, engaged employees and business fundamentals such as turnover rates, customer satisfaction, profits, and productivity. Challenging entrenched preconceptions about achievement to get to the core of what drives success, Marcus's strengths-based approach is a win/win scenario that, without exaggeration, will define the future of work.